All Over Odisha and India. Makar Sankranti, also known as Sankranti or Makara Sankrant, is one of the highly auspicious days in a Hindu calendar and the day is dedicated to the worship of Lord Surya (Sun God). In 2019, the date of Makar Sankranti is January 14. Uttarayan in Gujarat is on January 14, 2019. Makaravilakku Festival in Sabariamala in Kerala is also on January 14, 2019. Pongal will be observed on January 14. Makar Sankranti is the day when the sun enters into the zodiac Capricorn or Makara. It is also known as Uttarayana Punyakalam and heralds the arrival of spring season. Lord Surya is worshipped on the Makar Sankranti day and is a form of Nature Worship. A major event on the day is the bathing ritual at Sangam (confluence of Yamuna, Saraswati and Ganga) in Allahabadand also in the famous bathing ghats on River Ganga. Taking a holy dip on the day is considered to cleanse sins committed and this will lead to Moksha (Salvation). Uttarayana Punyakalam, the day time of Devas, begins with the Makar Sankranti and lasts for six months. This period is ideal for all kind of auspicious activities. 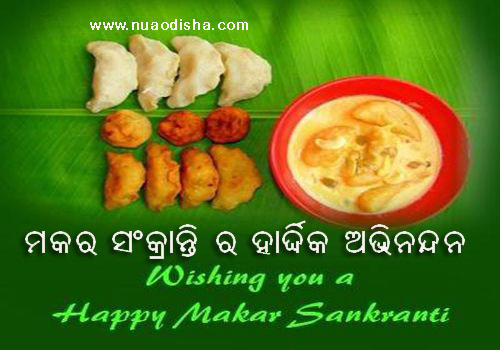 Makar Sankranti is observed throughout India by all communities but with slight variations in the festivities. In Bengal, Makar Sankranti is noted for the Ganga Sagar Mela and Pithey parban. Bhogali Bihu is celebrated on the day in Assam. Makar Mela is observed in Odisha. In North India, it is the time of Lohri and Khichadi. In Central India, it is Sankranti. In Tamil Nadu, Makar Sankranti is observed as Pongal. In Andhra Pradesh, it is known as Sankranthi. In Kerala, the famous Sabarimala Pilgrimage comes to an end with sighting of the Makaravilakku. In Gujarat and Rajasthan, it is known as Uttarayan and is noted for the kite flying event. It is an important bathing date during the famous Magh Mela and Kumbh Mela at Sangam (Prayag) in Allahabad.